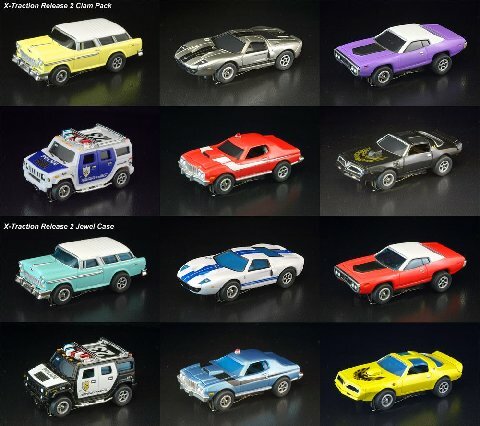 The second new Xtraction release from Round 2 (AutoWorld) is a remarkable retro look into the original Aurora cars of the same type. There are six (6) cars in the lineup which should satisfy almost every collector. A great addition at an inexpensive price.